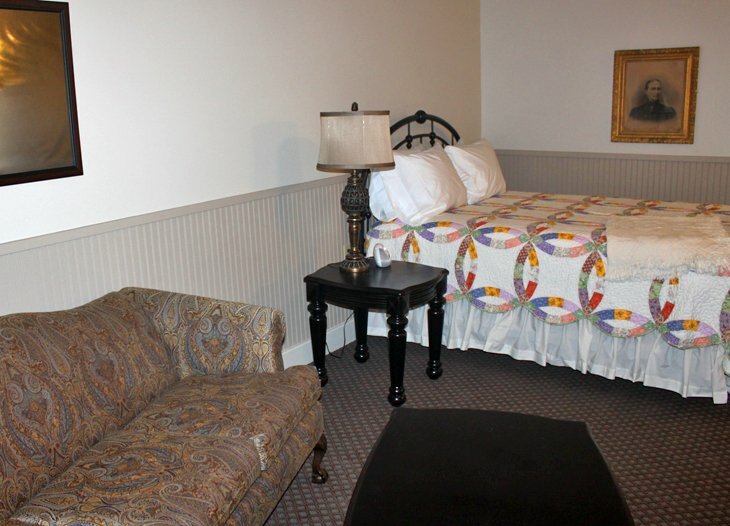 The Sample Room is a one-room suite with queen-size bed and comfortable seating area. 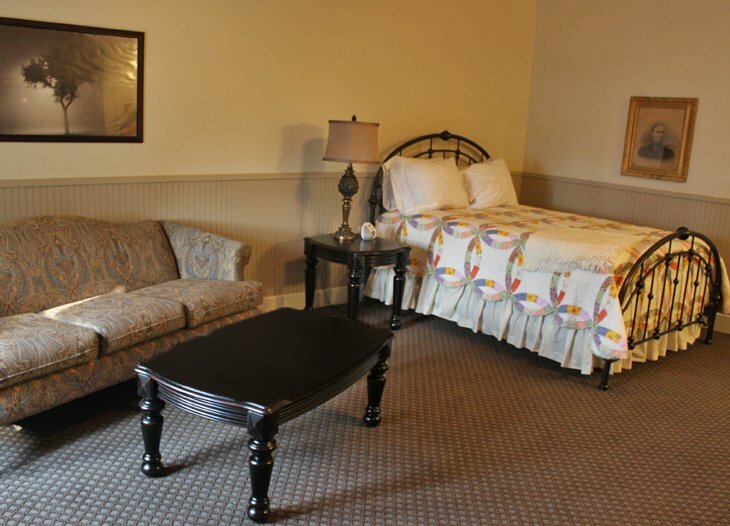 It is located downstairs with an outside entrance and is wheelchair assessable. It has a 39-inch flat screen TV and electric fireplace. The butler kitchen (refrigerator, microwave, Keurig coffee brewer are provided). Coffee, tea and amenities are supplied. The large bathroom has a 60-inch shower (no tub). The entire suite is designed in a fashion to allow mobility impaired accessibility. Luxury hotels in the 1900s provided sample rooms for traveling salesmen to display their wares. Remember transportation was either by train or horse & buggy. According to plat map of 1910, The Rhea had a sample room in the same location today. The suites are self-catering (no daily maid service) with enough linens for two days. 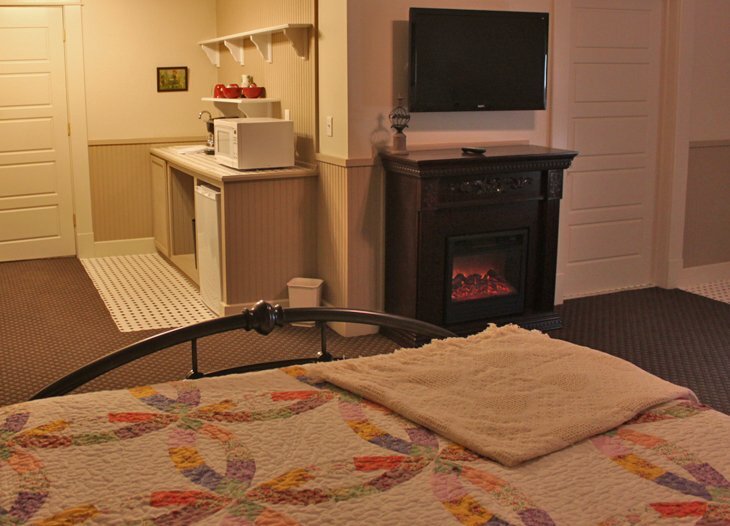 If your stay is longer than 2 nights, someone will pick up dirty towels and freshen the room on the 3rd day. The Keurig Brewing System brews the perfect cup of coffee or tea in under 2 minutes. Due to the lack of a mud room or cleaning area, The Hotel Rhea does not accept reservations from people who are participating in area hunting activities.